Graduated from the Faculty of Pharmacy of Montpellier for over 10 years, I gradually formed during my daily practice of traditional alternative medicine such as herbal medicine, homeopathy, gemmotherapy, oligotherapy and more particularly to aromatherapy (therapy through the use of essential oils). 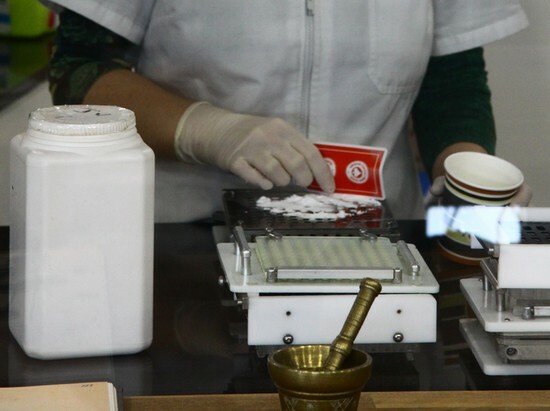 Indeed, these so-called alternative medicines, perfectly complement the conventional treatments based on drugs without prescriptions. 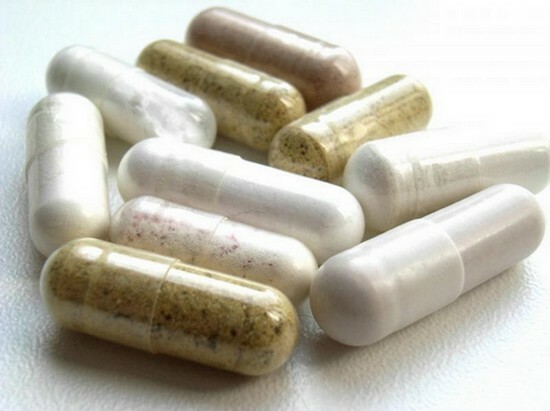 They provide a more holistic approach to an individual's health status, and naturally cure most minor health problems. Our teams of Pharmacists, Pharmacy Preparers and Naturopaths have the mission to advise you and guide you in order to guide your choices towards a treatment best suited to your case. Our wish? To make each of you a part of your health , every day. We have established partnerships with the best expert laboratories in the development of food supplements for athletes like NHCO, Eafit or Eric Favre. 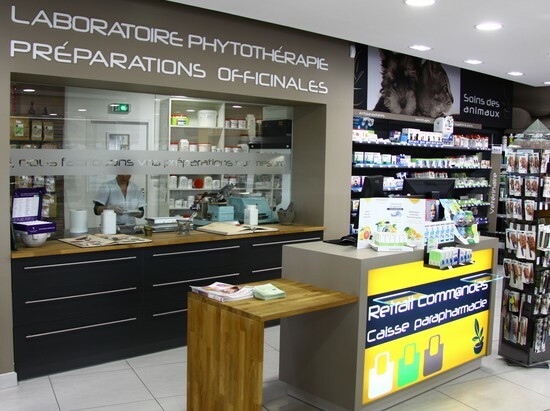 Care and Nature is the E-Shop of the Pharmacy Mailloles is located in the French department of the Eastern Pyrenees, in Perpignan. 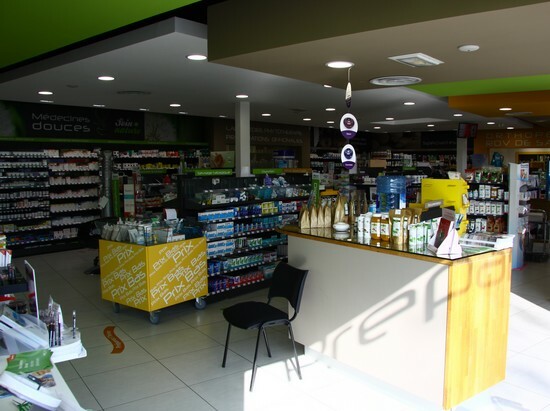 It was created by two pharmacists, doctors of pharmacy for ten years, surrounded by a team of experts and professionals including a nutritionist and a plant specialist who assist in the selection and selection of products that you are offered. The goal, by putting this e-shop at your disposal, is to present a range of 100% natural products of superior quality to consumers aware of the current need to change their way of life and care. The 100% natural products marketed by Care and Nature come from plants taken at harvest. Each product contains only the titrated extract of the plants and is free of any chemical substance. Each proposed product has its regularly updated analytical sheets that we undertake to provide on request. 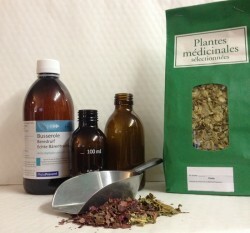 Pharmaceutical Herbalism, Naturopathy, Phytotherapy & Aromatherapy in Perpignan. Our pharmacists, trained herbalists, have referenced medicinal plants from a rigorous selection , originating from all over the world and produced according to precise specifications, in order to guarantee an optimal quality in natural active ingredients for your officinal herbal preparations. . We offer a range of more than 2000 references of medicinal plants, organic essential oils and organic vegetable oils. Our plants are not treated and their quality is checked several times. 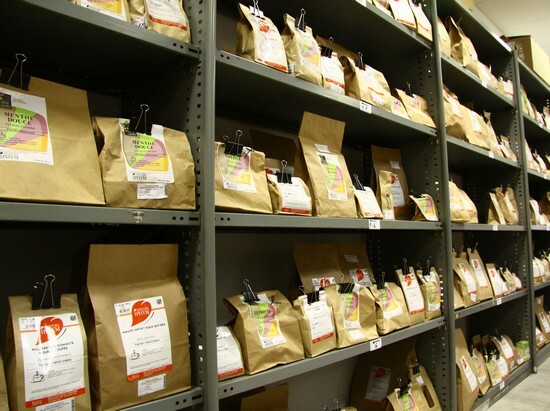 Not coming from a mixture of different origins, each batch is of uniform quality and the care taken in drying and storage guarantees you an irreproachable quality. The constant renewal of the stock guarantees you maximum freshness . The Mailloles Pharmacy has selected 100% pure , natural botanically and biochemically defined essential oils (HEBBD) unmodified or diluted to make your Aromatherapy officinal preparations. 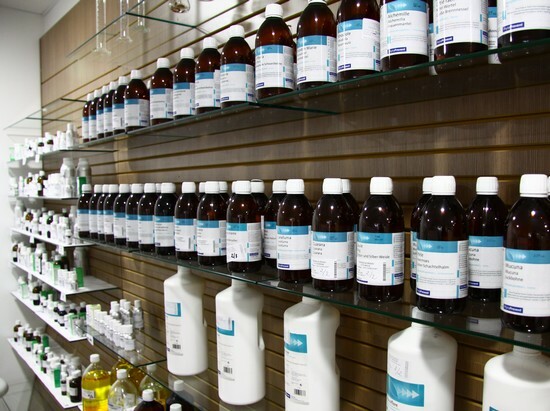 Our suppliers all have the status of a pharmaceutical establishment, guaranteeing a maximum level of quality . We carry out all kinds of officinal preparations in Naturopathy , Phytotherapy and Aromatherapy . We carry out the preparations in strict compliance with the BPP to ensure quality, safety and traceability at all stages of manufacture. All our raw materials come from French pharmaceutical laboratories meeting the standards of AFSSAPS (BPF). We guarantee delivery times of 6 to 24 hours depending on the region and the wholesaler. Blends of essential oils and vegetable oils. Our main suppliers of essential oils are the omega Pharma pharmaceutical laboratory with the PHYTOSUN AROMS brand, the Pranarom laboratory, Rosier davène, Puressentiel, LCA, Arkoessentiel, Dr. Valnet, Le Comptoir Aroma. 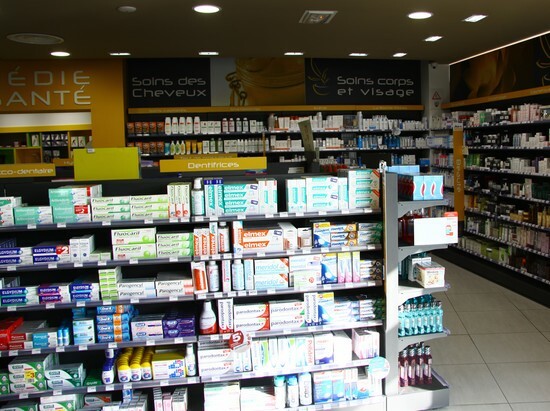 Third Party Paying - Free Update of your Vitale Card, use of the Pharmaceutical File, Free Home Delivery of Drugs on Perpignan. Homeopathy - Advice - Homeopathic preparations Boiron, Lehning, WELEDA available in 24h. 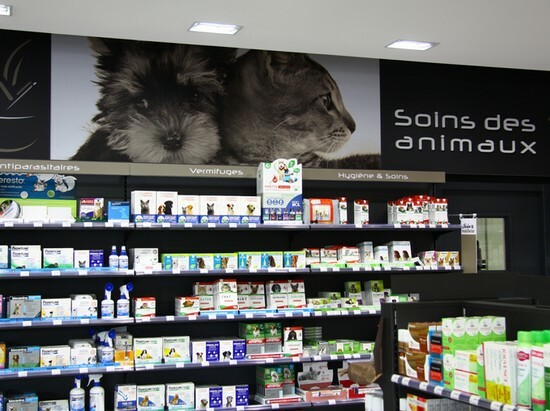 Veterinary Drugs in Perpignan - advice and prescription, reconditioning and master preparations of veterinary drugs to adjust the dosage of the active ingredient to the weight of your pet. Retail sale of chemicals and raw materials for the maintenance and renovation of the house, household products "bio". 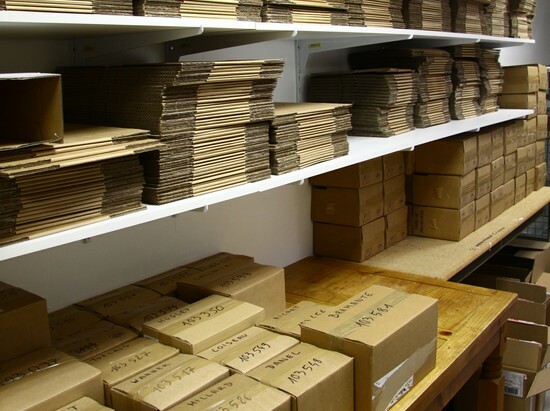 Sale of recognition boxes. Magistral preparations: We are the only pharmacist laboratory in the department of Pyrénées Orientales, having obtained the approval of the Regional Health Agency (ARS) for the manufacture and subcontracting of the magistral preparations according to the good practices of magistral preparations. BPP. In addition, we are in the process of being certified to obtain the quality label for the magistral preparations in pharmacy ISO 9001. Parapharmacy - Optics: wide choice of magnifying glasses to correct presbyopia. cervical collars from C1 to C4 - splints of the upper limb: wrist, elbow, rhizarthrosis. lumbar & abdominal support belts, lumbar support belt - knee pads, ankles. immobilization splints of the ankle, knee. compression and compression articles: socks, stockings, tights. We offer socks, stockings and compression tights from the Diaphane range of the SIGVARIS laboratory. This range, as well as the vast majority of our orthoses are fully reimbursable by health insurance organizations, on medical prescription. baby, infant food NOVALAC, GALLIA, MODILAC ... For health professionals (nurses, physiotherapist, doctor), we offer the equipment of your medical office and supplies and consumables. A Medical Equipment service dedicated to the rental and purchase: Rehabilitation splint, Wheelchair, Power Lift Comfort Chair, Seats Shells, Armchairs Wardrobes, Walkers, English canes. Medical oxygen. Our service plus: Free delivery and home installation of your medical equipment. A member of our team can come to your place to allow us to choose together the most suitable equipment for your home. He will then deliver it, install it and fix it if necessary.